Starting on 16th October 2017, Leon van Veghel has taken up the role of OMN Factory Manager. Based in s’Hertogenbosch, the Netherlands, Leon will report directly to Paul Sollewijn Gelpke, General Manager, Manufacturing and Supply Chain Europe & North America. Leon is a seasoned professional with experience in Management of Factory Operations, Engineering, and Maintenance. He previously worked for Bavaria as Manager of Technical Operations and Logistics, also in the Netherlands. Before that he had an extensive career with corporations such as Rockwool, Essent and Solvay Pharmaceuticals. 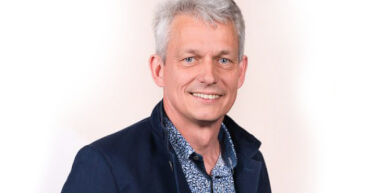 He has a Master’s degree in Electronics and Electrical Engineering from TU/e and a Master’s degree in Business Strategy from Rijksuniversiteit Groningen. He is married with children and lives in Veghel in North Brabant, The Netherlands.